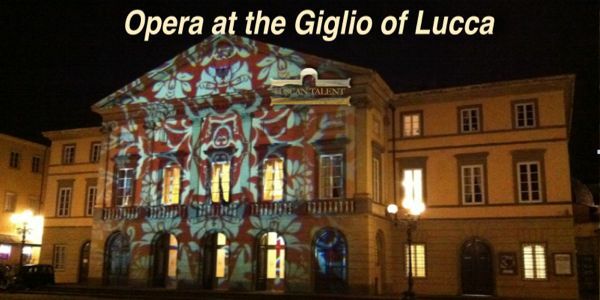 On Friday evening and Sunday afternoon, February 7 and 9, Lucca’s opera and theatre lovers were treated to a vibrant and highly entertaining performance of Domenico Cimarosa's Il Matrimonio Segreto (The Secret Marriage). The opera, with libretto by Giovanni Bertati after an English comedy by George Colman and David Garrick, was first performed in1792 in Vienna in the presence of Emperor Leopold 11. He had commissioned the work and is said to have requested an encore of the whole opera (which lasts around 3 hours) on the same evening after dinner! However, there is a little history behind this astonishing detail. Cimarosa, who was born near Naples in 1749, was a prolific composer, particularly of opera and his works soon became popular, in Italy and across the rest of Europe. In 1787, Russia’s Catherine the Great, impressed by Cimarosa’s international reputation, had offered him the post of maestro di cappella at her court. On his way to accepting a 3 year contract in St Petersburg, he went on tour through Italy, stopping in Florence at the request of the Grand Duke Leopold of Tuscany to try out his new pianoforte which had been invented by the Italian maker Cristofori. When the composer eventually arrived in Russia, Catherine the Great decided that she didn’t like Italian opera or the music of Cimarosa, so in 1791, he decided to return home to Naples. 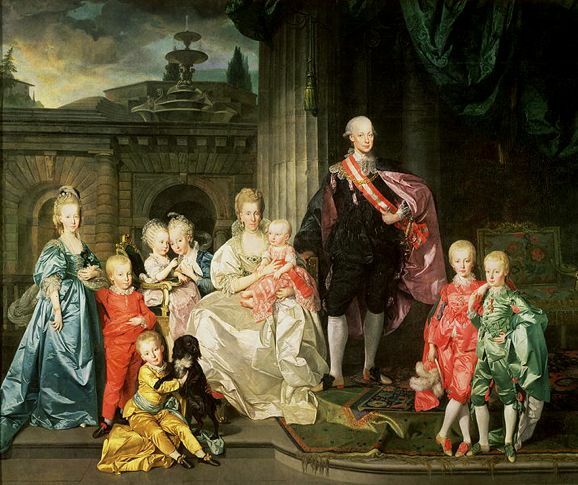 His journey took him through Austria, where he found that the former Grand Duke of Tuscany had in 1790 been installed as Emperor Leopold II of Austria! 1791 was the year of Mozart’s death in Vienna and once Leopold discovered that he had a replacement in Cimarosa, he appointed him Kappellmeister to the court at a salary exceeding that of Mozart. Il Matrimonio Segreto, which premiered in January of 1792, roughly six weeks after Mozart's death was a tremendous hit and is still considered one of the best examples, after Mozart of (18 opera buffa. 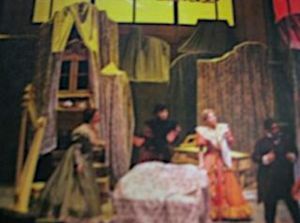 Bertati's plot is set in a wealthy merchant’s house in Bologna, and for this production, judging by the costumes, in the nineteenth century. 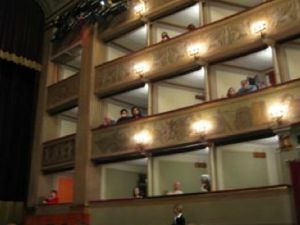 Despite the hilarious intrigue that begins to unfold, the plot was surprisingly easy to follow, made more so by the theatre’s use of surtitles above the stage. The lively libretto successfully depicts the misfortunes of a young couple who dare to contradict the established codes of society by secretly eloping. Carolina has secretly married Paolino, who works for her father, the merchant. In order to soften the blow of hearing this news, Paolino encourages his ambitious employer, with the unlikely name of Geronimo to promise his older daughter, Elisetta to the eligible and eccentric English Count Robinson. Things become complicated when the count arrives and immediately falls for Carolina, while the girls’ widowed aunt throws herself at a terrified Paolino. The result is a hilarious romp, made more so by Italo Nunziata’s excellent direction. which they slickly took from and then returned to one of the cupboards. 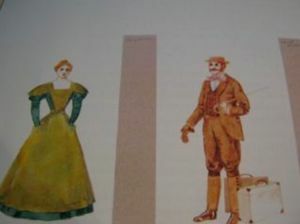 The stock characters (there are only 6 of them) used different levels, exaggerated comic gestures and facial expression very effectively, and whilst not quite a satire, the pomposity and naivety of the count and the ambitious aspirations of Geronimo were deliciously portrayed, causing many giggles and outright laughter at times from the audience. I was impressed not only by the acting and direction, but also by the quality of singing of this young cast. Following the usual two act opera buffa format, Paolino (Mateo Falcier) was the light amorous tenor, while the strong sonorous voices of the two basses were compelling and their clear articulation was much in evidence when they had to ‘patter’ – a comic technique used later to great effect in the 19th century by Gilbert and Sullivan. The female voices were a delight, and I particularly enjoyed their trio in the first act when soprano Carolina (Lavinia Bini) and her sister Elisetta (Giulia Semenzato), also a soprano showed their sisterly rivalry, with Carolina ridiculing her sister, using the parlando technique (sung speech) very effectively, while their aunt, contralto Fidalma (Loriana Castellano) tried to act as the peacemaker. Fidalma later added to the fun of this fast paced work when, faced with her ill-fated infatuation with Paolino, she in desperation takes to the bottle, showing brilliant dramatic characterization. The Luigi Cherubini Youth Orchestra with harpsichord conductor Riccardo Mascia and director, Julian Kovatchev did an excellent job in accompanying this demanding work, with its patter, secco recitative, a cappella part writing, and concerted ensembles. There were some lovely moments for the solo clarinet and oboe and the fast moving, scurrying string parts were well handled. This opera, which draws on the Italian theatre traditions of commedia dell’arte, stands stylistically and musically somewhere between Mozart and Rossini and Donizetti. 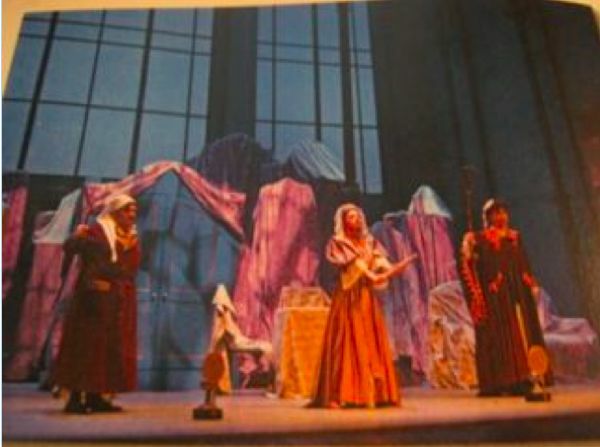 In fact, it is tempting to try to draw a comparison between this opera and Mozart’s The Marriage of Figaro. They each fall into the genre of opera buffa, had Italian librettists and were written and performed in Vienna with only a few years between them, Figaro premiering in 1786. Certainly, in Cimarosa’s opera we could hear evidence of the galante style used by Classical composers of that time, including Mozart, which has simplicity of melody, symmetrical phrasing and functional harmonies with an emphasis on the tonic, dominant, and subdominant to the exclusion of others, and regular cadences to define keys. There was some particularly good writing for the clarinet, which had only fairly recently been invented and used very effectively by Mozart, and the Alberti bass (broken chord accompaniment), was also used by both composers. However, Schumann considered Cimarosa’s work masterly in its writing and instrumentation but musically uninspiring, and I have to agree. Mozart’s genius took him to another level, but that’s another story. Even so, the audience left the theatre wearing broad smiles, happy to have spent such an enjoyable night/afternoon at the opera. Here is the final ensemble captured by local writer, Francis Pettit.